How fun for you to be invited to play along. Beautiful creations you made! yay congrats on guest designing... your cards are gorgeous.. your amazing. I really love the second one the gold accent is just perfect..
Yay YOU! Way to make the Altenew products shine! You have such a way with color! Both cards are stunning! You really have a way with florals girl, one that would make anyone swoon! such wonderful card mf...love the elegance of the second one!! Your cards are gorgeous. I love the gold embossing, too. Such lovely cards! It's great to see someone new (to me)! Love your Glam card! The colors and gold squares from my favorite new product from Altenew! Love that pop of color on that first card!! Gorgeous cards,These are all so beautiful and colorful. Congrats on guesting, Kimberly!! LOVE your projects, love your style! Kimberly I couldn't be happier to see you on this hop!!! YOU are just as fabulous as any designer on the list, my friend - please remind yourself of that daily!! Your cards are FAB... OH that gorgeous watery look you are so great at... you've made me fall in LOve with the starry flowers! You got a really nice effect on that bitsy starflowers spring! Love the simplicity of these cards-beautiful! Lovely cards!! I love the frames!! Your cards are so beautiful! I especially love the second one. Thank you so much for sharing! Very beautiful cards. Love the simple, yet elegant CAS design of the first card. And then the really stunning, elegant look of the 2nd with the gold embossing. Love the frames with the florals. Lovely cards you made with those fabulous new products! wow awesome love your gold embossed one.. These are SO pretty, I love a little frame on my cards and that gold embossing is decadent! So, so, so beautiful! Love those fine frames and I love the way you used them! The second card really does frame a work of art! Absolutely beautiful! Thank you for the wonderful inspiration! I love your cards. The flowers are beautiful! Love your use of color. Beautiful cards. I loves the embossing on top of the coloring! It frames the flowers so pretty! Love your cards. So colorful. Your cards are so nicely done! Love them both. 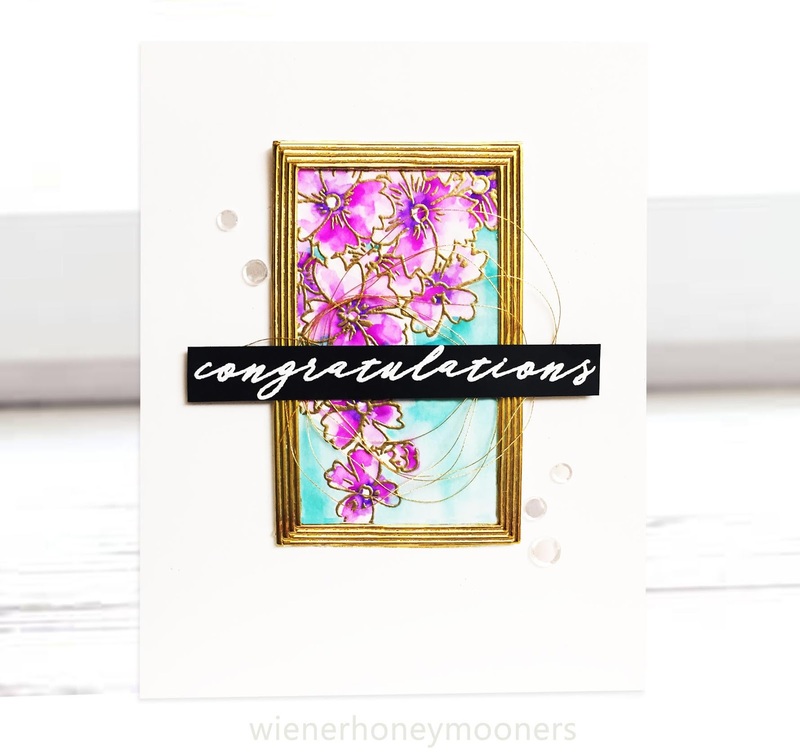 wonderful card, Kimberly - good to see you in this blog hop! 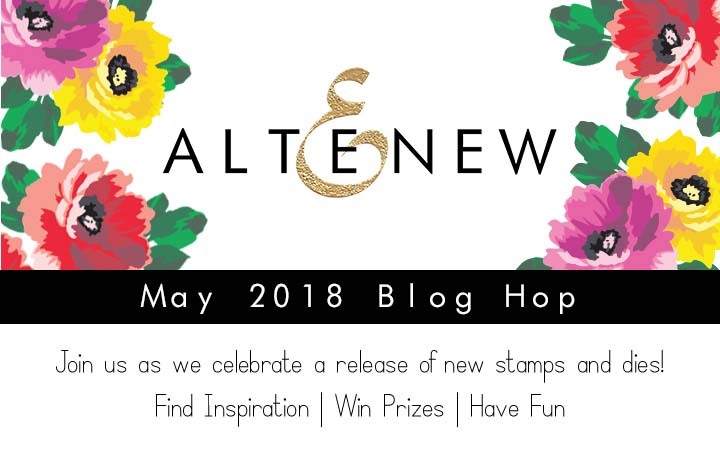 it is easy to see why you were invited to be a part of the blog hop... your cards are gorgeous! Wonderful CAs cards! Especially loving the bright purple and gold frame on the second! These cards are absolutely beautiful! Thanks so much for the inspiration! Beautiful cards! Love the simplicity of the first and the glam of the second! The water color effect is lovely! Love love love this release! Those rectangle and circle dies, really are unique to other dies! Love how you've used them. Beautiful ideas too.. Thank you for sharing. WOW ... yes it was a long line of creative women !! You have all done an amazing job and your creations are inspiring. What an awesome release this is. I love that there are stamp and die sets. Your cards are stunning. Thanks for sharing your talents with us. Hi Kimberly, Love both of your cards, TFS,Cheers Anna. Thanks for the cards...love the starry flowers in watercolor and the gold rectangles surrounding them. I love how you used the thin frames on your card. All of the cards are beautiful. Thanks for sharing. Beautiful cards and love the pops of color. So pretty and the frame is so pretty in gold! Fantastic cards Kimberly. Love the rich blue on the silhouette image! Oh, the starry flowers are gorgeous embossed with gold! Also love the frame! Wonderful cards! Stunningly executed and clean in design, just fantastic. 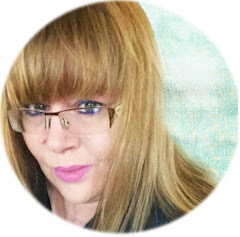 I LOVE this thin frame and how you used it with the 3 "layers" and the gold - bravo!!! These are so pretty! I just love how gorgeous the gold embossing looks against those lovely flowers! Beautiful color palettes and designs! Thanks so much for taking part in this too! So pretty - love the bold colors and the gold embossing. Two beautiful cards. The gold embossing is a wonderful touch. Both cards are inspiring. Fine Frames Rectangles in your one card :) Thanks for sharing! Beautiful cards, love the CAS design and the frames of these gorgeous florals. Love that pop of blue in the black and white card! The clean and simple design is so lovely. Your second card looks like you put a framed piece of artwork and attached it to a cardbase. It's really amazing! Such different styles and both so beautiful. Love the pretty blue against the simple white background. Absolutely beautiful cards Kimberly. 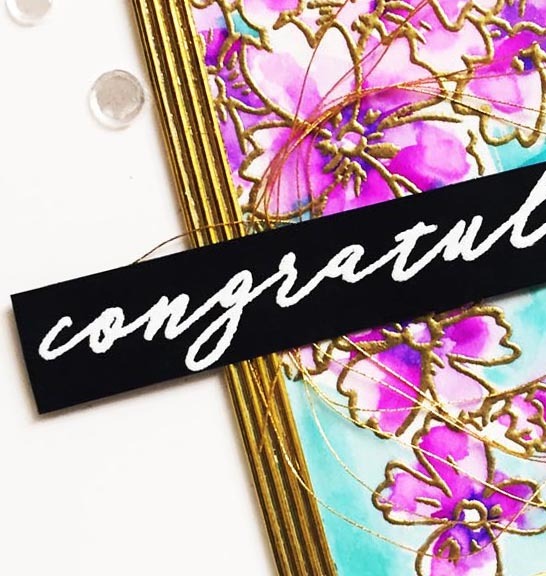 Your use of the Fine Frames is stunning on the Congratulations card and the colours you chose for that card are simply stunning! Well done. Your cards are elegant works of art! Such wonderful cards that show case the new stamps and dies beautifully. Bravo. Fantastic cards! I especially love your "glam" card....those frames are a must have! Very nice cards! I’m excited about the new frame, it adds so much. Congrats on your Guest Designer assignment, and what lovely cards you've made. Thanks for sharing. Love your simple design on the first card. Your purple flowers and gold embossing are beautiful! Your GLAM card is marvelous! I like how you used the Starry Flowers set and embossed it in gold to mirror the Fine Frames Rectangles! The purple and blue hues really compliment your artwork magnificently! 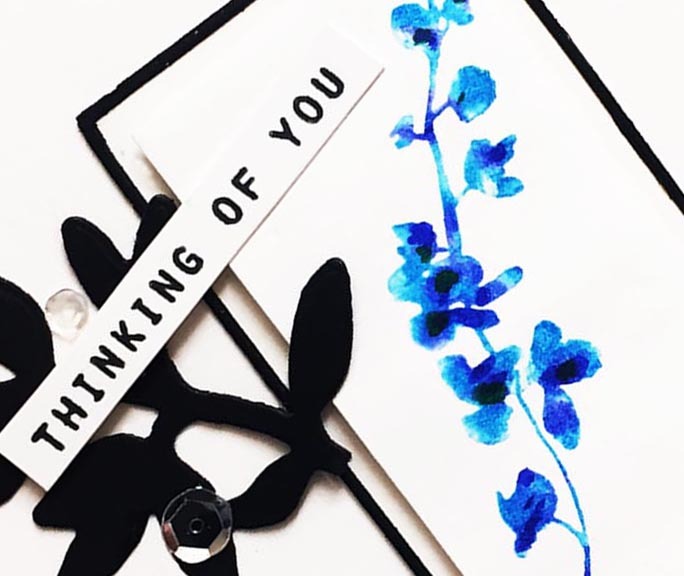 The sympathy card is a nice clean and effective way to let someone know you are thinking of them in their time of sadness-reflected by the blue flowers. Great ideas! THanks and cheers! Fabulous cards! I love your first card! Beautiful job on the glam card! I really like the starry flowers set - so simple and scaled just right for cards. Beautiful cards! Love the framed look on the second one. Well Wiener Girl...so happy to meet you! Your cards are very pretty! Specially like your second one with all the gold!! Oh, that black white a blue combo has my heart. It is so vibrant and beautiful. I also love the purples and blues of the second card. Thanks for sharing such lovely cards with us! I like how you used the rectangle frames on the second card - reminds me of old picture frames! Beautiful cards! Love the Garden Silhouettes and the Starry Flowers! The Fine Frames dies are amazing.... gotta have them! Gorgeous cards. Love your florals and gold frame. Your creations are beautiful! I am crazy about the second card—great design, great coloring, just gorgeous! Beautiful, elegant cards. I so love the Fine Frames Rectangles die. Love your color scheme and the golden accents! Wow! Especially love your second card with the purple flowers and gold fine rectangle die. Beautiful! So pretty--I like the framing. Love the "GLAM" card! Gorgeous! The framing really make them POP! You are a new blogger to me, your second card is so striking!! Thanks for the gorgeous inspiration and to Altenew for the giveaway!! Beautiful cards. 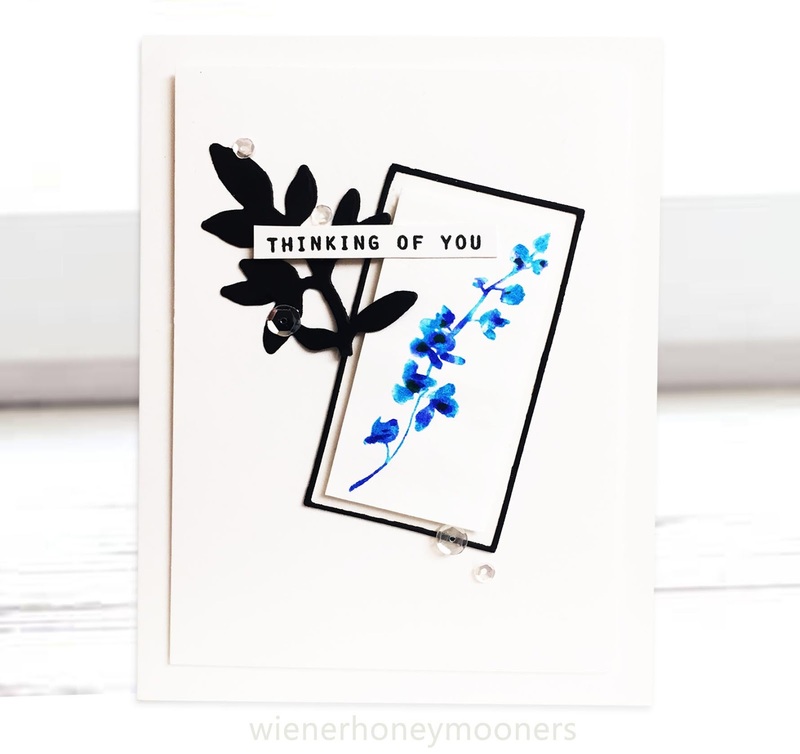 Love the brilliant blue floral sprig on the B&W sympathy card, and the gold embellishments on the second card are gorgeous... especially the gold frame. It would be fun to play with those fine frames... they really add a lot of interest and pizzazz!